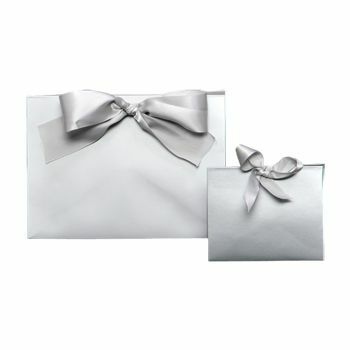 Unexpected elegance is what you'll experience with these large, purse-style gift bags. 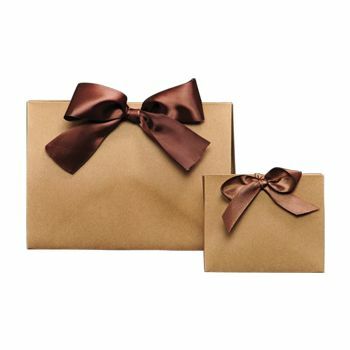 These gift bags come with matching ribbon handles for a beautiful finish. 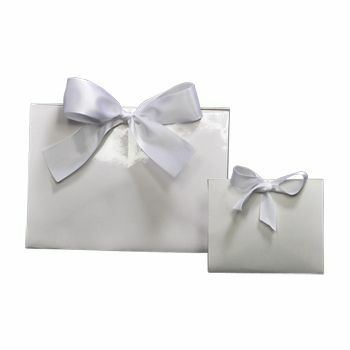 8 X 3.5 X 5.5"
These large, purse-style gift bags come in a variety of classic colors and matching ribbon handles for a lovely finishing touch. 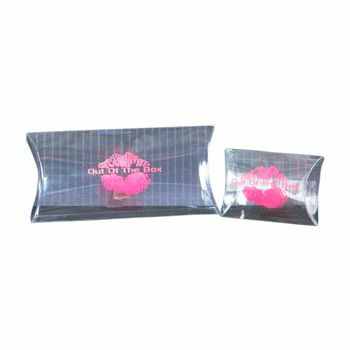 You can show your customers your commitment to environmental friendliness, as these bags are made from 70 percent recycled material. 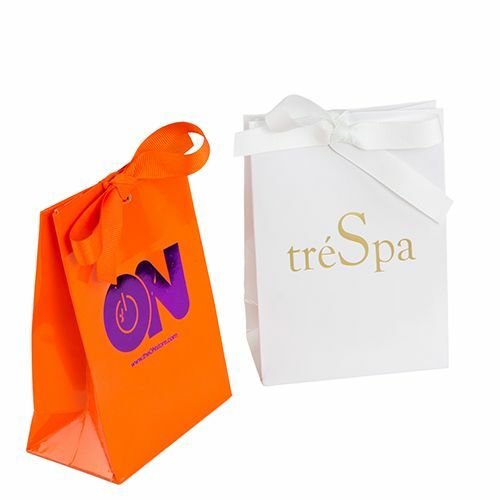 Choose any color of ink you desire and have your company's logo or slogan printed onto these gift bags. Should you need a rush delivery, fast shipping is guaranteed for your order. 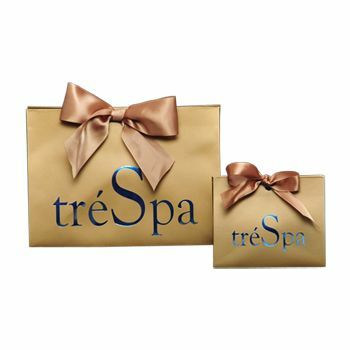 Get started with designing your purse-style gift bags today.